What's Fox & Friends Running For? Last week I marveled at a video for American Enterprise Institute President Arthur C. Brooks's new book, The Road To Freedom: How To Win The Fight For Free Enterprise. I'm not opposed to authors making videos to sell their books--hell, I've done it myself. But this video was indistinguishable in format and tone from a political ad. What, I asked, is Arthur Brooks running for? 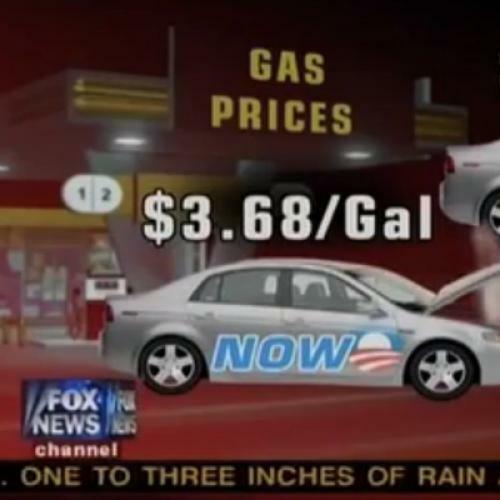 Today I discover (via Talking Points Memo) that Fox & Friends aired a video decrying Obama's economic record, made in-house, that is similarly indistinguishable in format and tone from a political ad (see below). What, I ask, is Fox & Friends running for? One more and we've got a trend: fake political advertising by right wingers who aren't actually running for political office (as best I can tell, anyway). If you see another example please forward a Web link to timothynoah@tnr.com. And if you can explain why faux political spots are suddenly the preferred mode of discourse by conservative think-tankers and journalists, I'm all ears.